In adult life there are many practical questions that require problem solving skills and a little math. 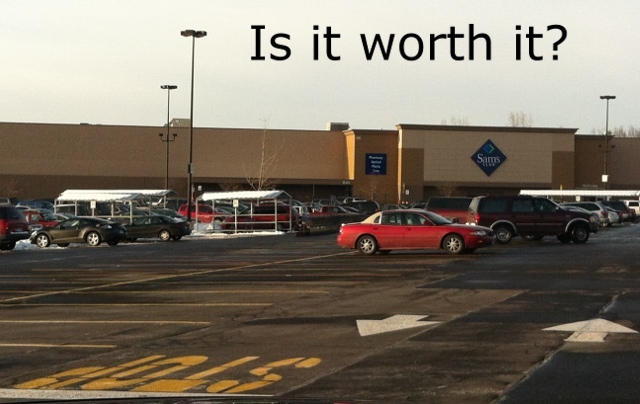 This lesson has students figure out the benefits and costs to joining a shopping club like Sam’s Club. Guide your students through a real life case study that requires lots of critical thinking, a little math and the chance to use Excel! How many of your families shop at wholesale clubs? 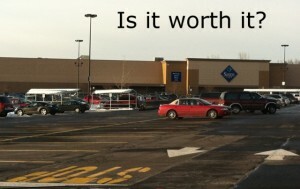 Do you think wholesale clubs save your family money? The Smith Case Study is complete in itself with prices already figured out and a simple assumption that each item was purchased 12 times a year. The Bradford Case Study is more complex in that students need to look through the receipts of the family from the past year and create a spreadsheet. They need to actually look up the prices from the internet since they are not given in the worksheet. Depending how bright your students are you can give a lot or a little instruction. I like to have the whole class come up with the generic steps to solving this problem as a group before I send students off in pairs to actually solve the problem. An additional activity you can have your students do is a shopping test where they choose 20 items and “shop” (compare prices/qty) at three different stores. I just wanted to tell you that I did this assignment with my students this week….very engaging and challenging! I especially like how they had to use their knowlege of conversions/equivalents to complete the chart. Many of my students actually told me that they had to THINK….my response….isn't that what education is all about!! Thanks for sharing such a neat, practical assignment!